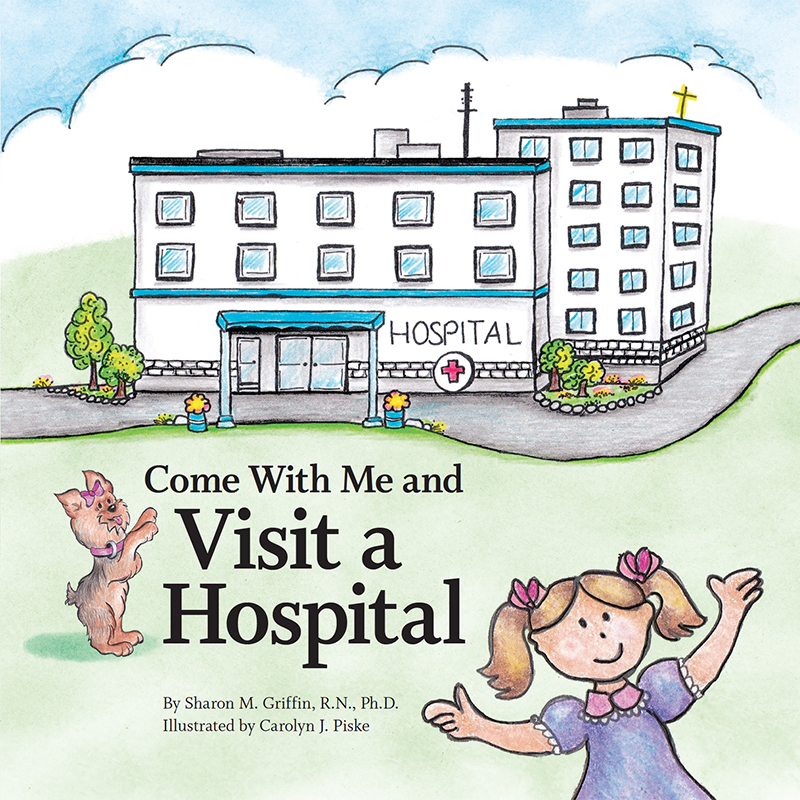 Author: Sharon M. Griffin, R.N., Ph.D.
Come With Me is a growing series of children’s stories that answer questions about often misunderstood medical places and conditions. The books are written for preschool through middle elementary age readers. Children will learn about different diagnoses along with the main character, Laura Elizabeth Helper—whose mother is a nurse, and her five pound Yorkie, Abby—who helps Laura and her friends and family understand the difficulties faced every day by those afflicted with challenging medical issues. In Come With Me and Visit a Hospital, Abby and Laura learn about the main areas in a hospital and pieces of equipment used in it.